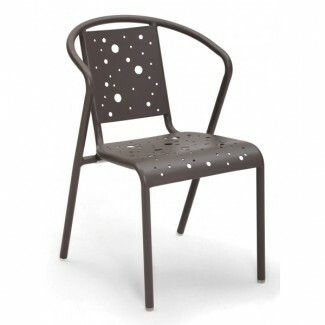 Our Jupiter II arm chair has a rust-proof aluminum frame, a laser-cut seat and back, and stacks for easy storage and set-up. Finishes include: Silver or Taupe. Single Item 4 pk. - $122.38 ea.